Compact and rugged, SM6-130 6 slots tower system for desk mount or wall mount is designed for maximum expansion with space flexibility, consistency and long-life. System is built with PICMG 1.3 form factor Intel Q77 Chipset SBC and 6-slot backplane. The Slot Board Computer is firmly plug-in and secured with hold down clamp to assure stability and reliability. 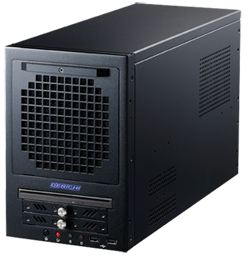 SM6-130 provides 2 xPCI, 1 xPCIe x16, 1 xPCIe x4 expansion slots to meet most industrial add-on applications. A 12-cm chassis fan with washable air filter provides system with ample cooling. Positive internal pressure keeps dust and particles from entering system for minimum maintenance in most industrial environments. Further system enhancement requirements available. * Contact us for specific system configuration requirements.